Under a broiling midsummer sun, five National League pitchers combined to throw the first shutout in All-Star Game history. With their 4-0 victory in the 1940 contest, the Nationals had now won three of the last five games, after having lost the first three. 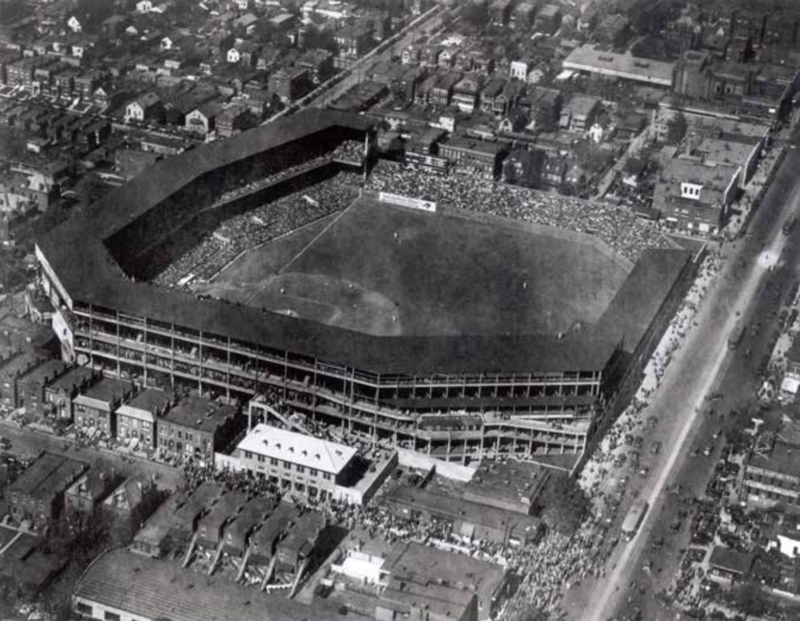 Although the American League Browns and National League Cardinals shared Sportsman's Park, the NL was the home team for this game. The Cardinals’ successes over the past 15 years had made them by far St. Louis’s more popular team, as shown by the mostly National League adherents in the crowd of 32,373. Among the spectators were Commissioner Kenesaw Landis, AL President Will Harridge, and NL President Ford Frick. The boos that greeted Dodgers’ outfielder Joe Medwick were an early indication that it was a predominantly Cardinals crowd. Medwick, a former Cardinals favorite, was making his first appearance at Sportsman’s Park since his recent trade to Brooklyn. Meanwhile, Browns fans had little to cheer about. They had only one player on the AL squad, first baseman George McQuinn, who was in uniform but recovering from a thigh injury and never got into the game. The heavily favored American Leaguers managed just three hits and two walks against Cincinnati’s Paul Derringer and Bucky Walters, Brooklyn’s Whit Wyatt, Chicago’s Larry French, and New York’s Carl Hubbell. Luke Appling of the Chicago White Sox, who doubled in the second inning, was the only American Leaguer to get as far as third base. Pittsburgh’s Arky Vaughan led off the home first with a bad-hop single over second baseman Joe Gordon’s head. Billy Herman of the Cubs, who had three of the Nationals’ seven hits, followed with a hit-and-run single that put runners at first and third. Next up was West, a third-year man playing in his first (and what would be his only) All-Star Game. National League manager Bill McKechnie of Cincinnati had made an overnight decision to start West in right field. His original choice was to use the Giants’ Mel Ott, a member of each NL squad since 1934.West, a native Missourian, smashed an 0-and-1 pitch into the covered pavilion in right-center field. His home run was the first by a Boston National Leaguer in an All-Star Game and the first ever by a batter in his first All-Star at-bat. That one pitch was enough to make the Yankees’ right-hander the losing pitcher on what was overall a very poor day for the four-time defending champions. Despite their fourth-place position, four other Yankees joined Ruffing in the starting lineup. Another, Red Rolfe, was selected but missed the game with an injury. Washington’s Cecil Travis replaced him. Yankees manager Joe McCarthy, who had managed the American League in the previous four games, had asked to be excused for this one, and Joe Cronin of the Red Sox was handling the team. None of the Yankees did well this afternoon. Center fielder Joe DiMaggio (0-for-4), second baseman Gordon (0-2, two strikeouts), right fielder Charlie Keller (0-for-2, one strikeout), catcher Bill Dickey (0-for-1), and Ruffing (0-for-1) were a combined zero for 10 against National League pitching. But then no one else on the AL squad did much better. Appling had an eighth-inning single to go along with his double, and Detroit Tigers pitcher Bobo Newsom had a sixth-inning single. Those were the AL’s only hits. In addition to West furnishing the highlight of the game for the NL, West also furnished the lowlight. He injured his left hip when he crashed into the right-field wall attempting to catch Appling’s second-inning double. The National League team trainer, Dr. Richard Rohde, administered first aid as West lay on the ground, and after a few minutes he was able to walk off on his own power. Bill Nicholson of the Cubs replaced West in right field. Derringer pitched the first two innings, walking Boston Red Sox left fielder Ted Williams (playing in his first All-Star Game) in the first inning and allowing Appling’s double in the second. Each came with only one out, but both times the next two batters, Yankees in both cases, couldn’t take advantage. Derringer got Keller and DiMaggio after the walk to Williams and Dickey and Gordon after Appling’s double. Derringer’s Cincinnati teammate, Bucky Walters, retired the American Leaguers in order in the third and fourth innings and then turned it over to Wyatt. The Dodgers right-hander set down the Americans in order again in the fifth, before yielding Newsom’s single leading off the sixth. McKechnie had replaced his entire infield to start the inning, so when Travis followed Newsom’s hit by bouncing into a double play, it went from Brooklyn second baseman Pete Coscarart to Boston shortstop Eddie Miller to Cincinnati first baseman Frank McCormick. In all, McKechnie used 22 of his roster of 25 players, leaving out only Philadelphia pitchers Kirby Higbe and Hugh Mulcahy and Dodgers shortstop (and rival manager) Leo Durocher. Cronin used 18 players. Only three men played the entire game: DiMaggio, American League home-run leader Jimmie Foxx, and Cardinals center fielder Terry Moore. Foxx’s selection made him the only player in either league who had been picked for each of the eight All-Star Games. McKechnie brought in Cubs left-hander French to pitch the seventh. Like Wyatt, he too set the side down one-two-three in his first inning and gave up a leadoff single in his second. That was to Appling, but French retired the next three batters without Appling ever advancing. The last two, pinch-hitter Ray Mack and his Cleveland teammate Feller, batting for himself, went down on strikes. Mack was one of four Indians and nine American Leaguers chosen for their first All-Star Game. Facing Feller in the eighth, Mel Ott led off with a walk, moved to second on a sacrifice bunt by McCormick, and scored on Harry Danning’s single to right. The Giants’ Danning was the National League's leading hitter (.343) and RBI man (58), but McKechnie had chosen to start Ernie Lombardi, Derringer's regular-season batterymate, behind the plate. In the middle three innings he used Brooklyn’s Babe Phelps, which enabled Wyatt to pitch to his regular-season batterymate. First-half statistics appeared to count for little to both managers. Of the top five in each league, only White Sox shortstop Appling was in the starting lineup. Five didn’t even make the team: the Browns’ Rip Radcliff, the White Sox’ Taft Wright, and the Tigers’ Barney McCosky – the numbers two, four, and five hitters in the AL – and the Dodgers’ Dixie Walker and the Cubs’ Jimmy Gleeson – the numbers two and four hitters in the NL. Red Sox outfielder Lou Finney was the AL’s leading hitter at .359, but he did not appear until the sixth inning. Same for Detroit’s Hank Greenberg, the major leagues’ RBI leader with 71. Greenberg, the starter at first base in 1939, replaced Williams in left. Hubbell, Danning’s Giants batterymate, came on in the ninth and after striking out Cleveland’s Ken Keltner issued a walk to Finney. Hubbell then ended the game by getting Greenberg on a foul out to Danning and DiMaggio on a fly to Giants left fielder Jo-Jo Moore. The scarcity of baserunners led to the shortest game (by time) in All-Star history – one hour and 53 minutes. Yet despite its brevity and the oppressive heat of a typically torrid St. Louis afternoon, the fans had a wonderful afternoon. This article appears in "Sportsman's Park in St. Louis: Home of the Browns and Cardinals at Grand and Dodier" (SABR, 2017), edited by Gregory H. Wolf. Click here to read more articles from this book online. This account is adapted from Vincent, David, Lyle Spatz, and David W. Smith, "The Midsummer Classic: The Complete History of Baseball’s All-Star Game" (Lincoln: University of Nebraska Press, 2001). 1 Roscoe McGowen, “Jubilant Victors Reconstruct game,” New York Times, July 10, 1940.